In the UK, there are many restaurants, pubs and fast food chains, which constantly need more or less experienced people. 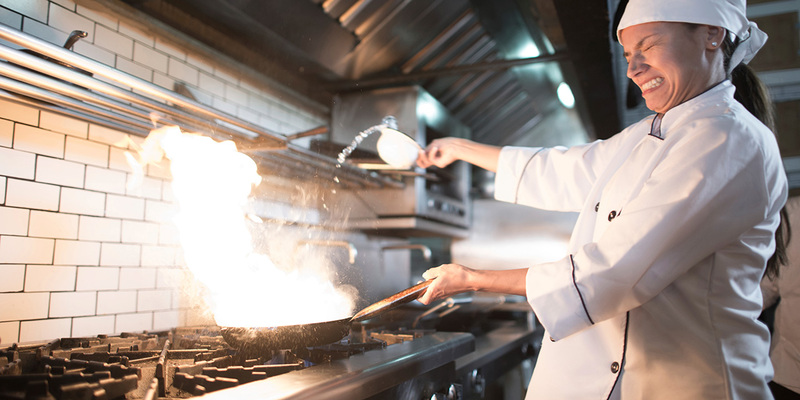 Working in gastronomy sector is, however, quite a difficult job involving continuous rush, pressure and stress, which often results in accidents. If you have been a victim of such a situation and have suffered damage to your health, then you should know that you have every right to seek financial compensation. Our company, Insito Claims, will help you in the fight for the highest amounts, by acting fairly and quickly. Just call us at 0208 940 0069 or fill in the application form on our website, and our consultant will immediately contact you and discuss all the issues, establish what your chances in court are and the amount you can apply for. The job of a waiter, chef or bartender certainly means constant hurry, stress, noise. People use a wide variety of tools, such as boiling water, glass etc. In such conditions, it is easy to have an accident. A person may get burned by hot fat, may cut their hand, slip on a greasy or wet floor, as the result of which they may fall and suffer serious injuries. All this excludes a person form earning a living for some time, perhaps even permanently. Besides, such a person has to undergo medical treatment and incur expenses associated with it, and also has the additional burden involved in rehabilitation. All this limits one’s personal and professional life. It is therefore important that, despite the difficulties a person faces at that time, they contact the appropriate claims management company, which will support them in the negotiations with the insurer. Insito Claims is right for you. We have many years of experience in helping accident victims in the UK who are injured in their workplace, including the catering sector. After completing the necessary documents, gathering the evidence of the accident that took place and assessing the damage you suffered as a result of this, we will be able to provide a realistic prediction of what your chances of winning the compensation are and how much money you can obtain. The amounts vary, depending on the size of the injury and the consequences of the accident.